As marketers, we spend endless hours evaluating and reacting to tons of metrics…facebook likes, page visits, conversion percentages, you name it. 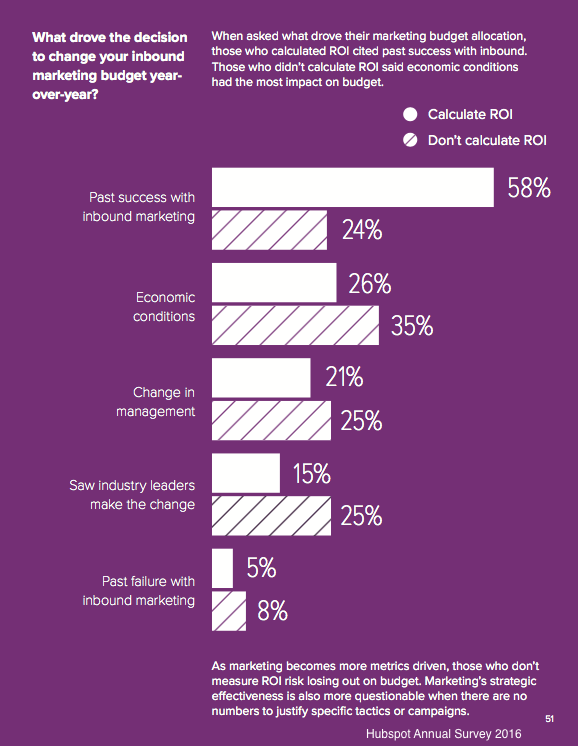 We know that these indicators help to guide our inbound marketing success. The problem is that high level managers don’t care about this stuff. These “soft” indicators of success don’t always translate to the bottom line. You need to show real marketing ROI to your boss that can shape the way they view marketing programs…and more importantly, the money and resources they’ll allocate to marketing. This metric shows how much your company spends to pick up each customer. Of course, the lower this number, the better. It’s easy to calculate and if you can show that your work is helping to reduce this number, you’re improving marketing efficiency…and you’re going to be the hero at the next staff meeting. This metric separates marketing costs from sales costs as a ratio of customer acquisition cost. This paints a more accurate picture of the actual load that sales and marketing teams are carrying in terms of bringing in new business. If this figure is rising, they the marketing department may be underperforming, spending too much or has too much overhead, or perhaps you’re in an “investment phase” with new marketing initiatives that haven’t yet gained traction. This figure is a great justification for marketing investment. It’s a measure of how much value your company can expect to recieve from each new customer, as a function of the outlay required to capture that new customer. This can be a meausure of marketing efficiency, attracting the “right” highest value customers, and perhaps upselling those customers based on marketing data and insights. You want this figure to be high, but not too high. You company always needs to be reinvesting in reaching new customers…good leverage at the next budget meeting. How long does it take to recoup your investment in each new customer? This number is usually measured in months, but not always. In industries where customers pay a monthly fee, it’s typical to expect this number to be less than 12 months. Obviously, the sooner you can pay back your customer acquisition cost, the sooner you can start making money off your new customers. This is a big one for marketing teams looking to legitimize their efforts. It’s simple…you’re showing what percentage of all customers started with marketing. When it comes to delivering new business, this is one of the best measures possible. Ideal ratios vary depending on business model. Companies with a focus on outside sales or with a sales force in the field may be looking at 20 – 40%, whereas companies with inside sales and more of an inbound lead focus might be more like 40 – 80%. This is a similar measure in a way to Marketing Originated Customer %, but looks at the ratio of new customers that “touched” marketing programs at some point in the buying process. It’s easy to argue that marketing influenced the sale if someone downloaded materials from the website, or marketing data passed on to sales was used in the final pitch. This measure is a great indication of how integrated marketing and sales efforts are, how effective marketing is at generating quality new leads, and nurturing existing leads. A sale is usually a team effort. 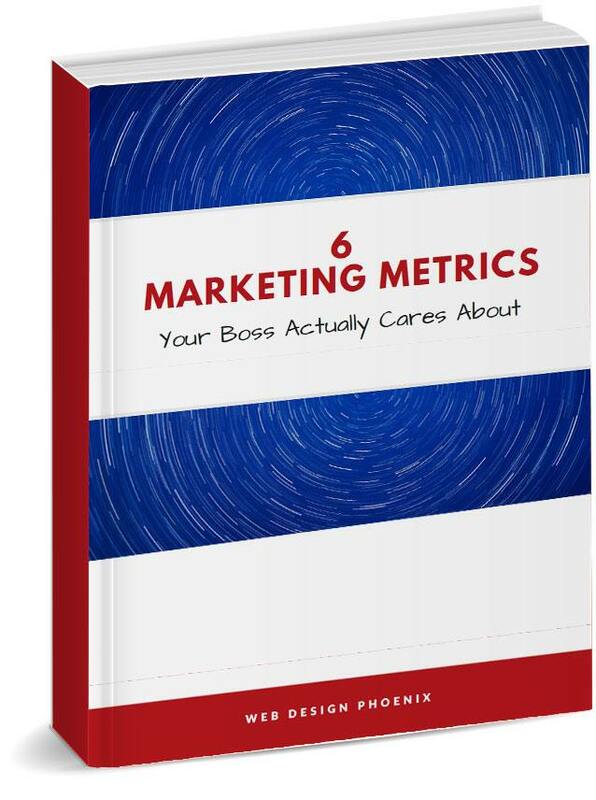 I encourage you to download our little cheat sheet 6 Marketing Metrics Your Boss Actually Cares About (or click image below) to help you calculate these marketing performance metrics. Maybe you’re already reporting on similar stuff, but might add another 2-3 new measures of your success to please the boss.